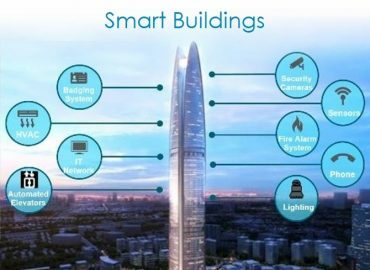 Smart buildings - How to assure the “I” in IoT? It used to be that network teams just provided connectivity for phones and pcs. But now we're in the age of the Smart Building, with pressure to reduce power usage, increase efficiency and improve security and customer experience. Lighting, heating/cooling, sensors, cameras, display monitors, door entry systems, alarms and many more. 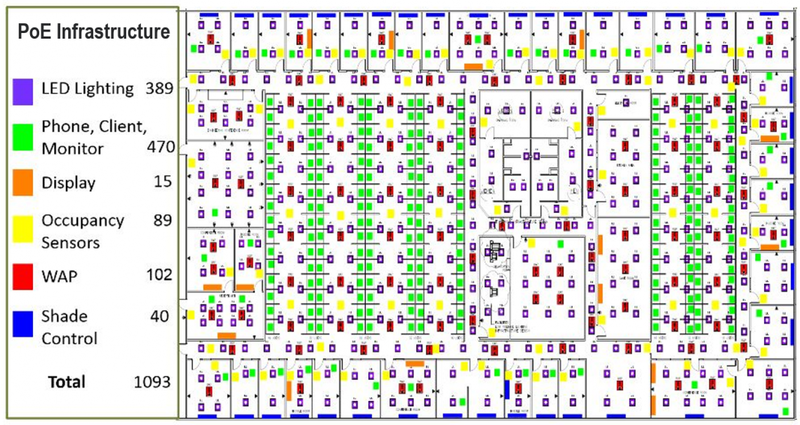 A growing challenge for IT teams, the image below is an example of the network connectivity requirements for smart office; pretty complex with double the traditional number of network connected devices. In the past, networks had dedicated infrastructure, proprietary wiring and connectors. Now it's multi-functional, so what must be provisioned and validated? Is Power over Ethernet available? Is the right wattage/class received? Is the link live? What is the speed & duplex? Am I plugged into the right switch and port? Is the switch fully provisioned? Am I in the correct VLAN? Are network services available? Are they correctly configured? Can I get beyond the switch? Am I in the correct subnet? Is default routing operational? Do I have connectivity to local controllers? To cloud services? Responsibility is now a collaborative approach, IT working with Operational functions (OT), to design and install. But also to handle the challenges and potential departmental conflicts when IoT devices are not connecting properly or experience poor performance. The challenges of a smart building, require smart network tools; at the end of the cable you are less likely to find a PC to run a ping and more likely to find a heating unit or lighting solution with a UTP port on the side. Bringing testing the application or a successful connection to a Cloud web interface an additional task. Which is why Netscout built the LinkRunner G2 on an android platform. The combination of traditional network troubleshooting, with all the functionality of a smart device, offers a fast and efficient way to support both troubleshooting elements of these modern services. You can install your smart building applications or set up web browser links on the LinkRunner G2. So that once you've checked the connection to the switch, made sure its in the right VLAN, got essentials such as an IP address and Power over Ethernet then you can flick over to the App/browser and make sure the lights come on / windows close etc. All with one device. Demo units available for a trial, just give us a call.